In a lot of ways, PlayerUnknown’s Battlegrounds feels like what we often see from “rags to riches” stories in movies, TV, books, and countless other mediums. Coming from a Korean studio with a name that’s both unique and perplexingly bizarre, PlayerUnknown’s Battlegrounds (or known collectively as PUBG) has gone from being a small, unheard-of entity to the breakout game of 2017. 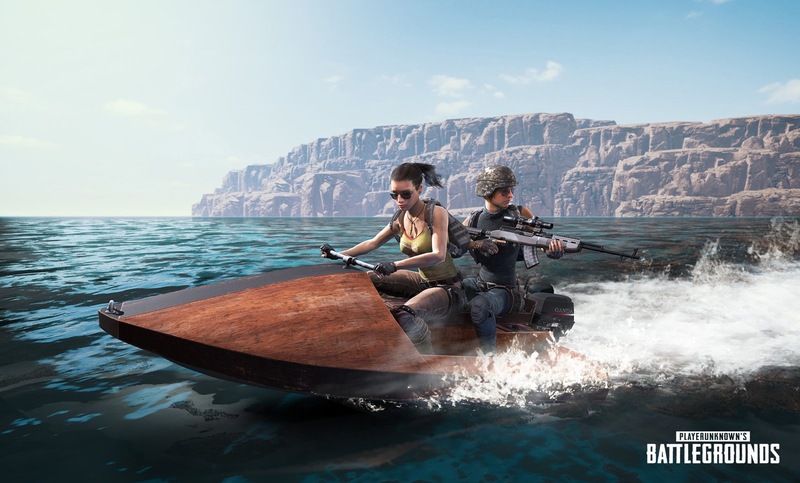 Since its debut on Steam Early Access in March of this year, PUBG has eclipsed over 30 million players in a way that can only be described as a “phenomenon.” However, given that the game has only just “released” now nine months after it launched through in Early Access, PUBG still very much feels like a game that’s a work-in-progress, and that’s likely going to be the case with it for months and, potentially, years. Whatever nagging issues and growing pains that PUBG still has from its Early Access launch, there’s still tons to enjoy from the multiplayer-only experience, thanks in large part to its addictive and intense gameplay. PUBG seems to have skyrocketed at the right place and time (especially given its perfect concept for streaming), and while the overall game has some significant work ahead to improve the experience, the core of PlayerUnknown’s Battlegrounds is one that, I think, will be the foundation of a new generation of games to come. First, let’s start with the basics. PlayerUnknown’s Battlegrounds is a survival first/third-person shooter that revolves around the idea of a “battle royale” experience, where 100 players are dropped onto a remote location and forced into battle to kill the remaining players and be the last one standing. As we’ve seen from books and movies like Battle Royale and The Hunger Games, PUBG activates a primitive, yet entertaining, enjoyment from fighting to survive by whatever means necessary, and that’s a large portion of its addictive nature. Starting off each round, players are flown to the battlegrounds in a huge aircraft carrier that takes a random path across the huge maps and gives players the chance to jump out and parachute to their starting location. This moment alone marks a big point where players will have to strategize, whether they decide to jump from the plane early and (usually) wind up in a bloodbath of other players trying to scrounge for weapons and ammo, or taking more remote paths to other parts of the island that could make survival easier, but potentially put the player at a disadvantage as far as outpacing some of the game’s environmental hazards, such as supply drops and random bombing runs. Specifically, the biggest of these hazards is a blue electrical field surrounding the map that, over the course of the match, gradually pushes players into a select region of the map over time. Those that are unlucky enough to be outside of the field (or the “blue circle”) will meet their demise, while the circle also acts as a way to corral players from across the vast map and force confrontation. Naturally, that means players not only have to be on the lookout for other players, but also requires a constant situational awareness of what is happening on the map, and how to avoid getting killed by the environment or using it to your advantage. The core idea of PUBG is easy to grasp and immediately accessible, though there are additional layers to the gameplay that make surviving to the end (and winning the game’s signature “chicken dinner”) even more challenging. 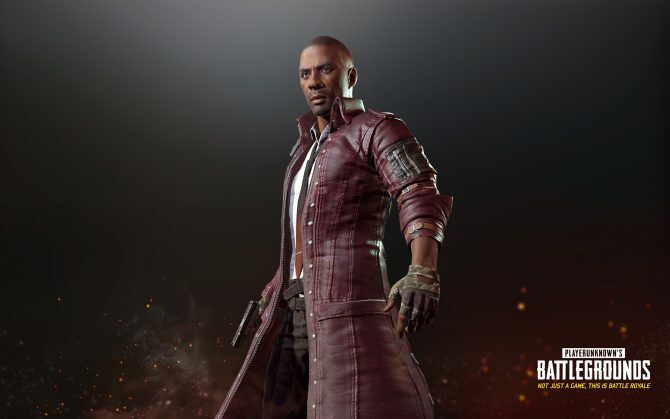 While PUBG‘s roots can be traced to several different “battle royale” and survival games like DayZ and Arma II (with developer Brendan Greene’s earliest concepts for this game coming from his work on mods for both of those titles), its success can easily be tied to how it boils down the core concepts of survival into a streamlined, satisfying, and heart-pounding experience. 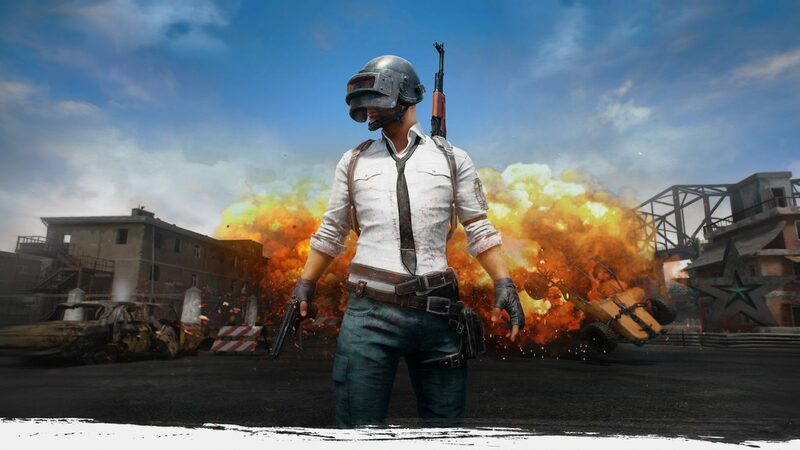 Each match in PlayerUnknown’s Battlegrounds has a similar sense of rhythm and cadence — you jump from the plane, you try to survive the initial bloodbath of players dropping onto the island, you collect as many weapons, supplies, and upgrades as you can, and then try to work your way towards the final circle and eliminate the last remaining players. However, getting to that final point is not only difficult (most of the time), but thanks to the game’s randomized elements like where the plane dispatches, weapon drops, and the ever-shrinking circle location, it keeps players on their toes and ensures that no match plays out in the same way. In this way, PUBG indeed relies on its fair share of luck and hoping that the game’s behind-the-scenes RNG works in your favor. This, of course, makes PUBG‘s unpredictability both one of its best and worst qualities. With the way that matches play out, you can just as quickly be killed in the game’s opening minutes thanks to a lousy plane route, or last to the very end with some careful deliberation and strategy if you happen to luck out with avoiding the circle. Sure, I’ve had plenty of my share of games that ended hilariously early, whether they were from my own poor choices or just getting dealt a bad hand as far as my starting location and what weapons were available to me. But more often than not, I’ve had just as many (or more) matches where I just happened to land in a zone of the map with a wealth of ammo and weapons to use to my benefit, or found myself in a path where I was able to keep up with the shrinking blue circle at a quicker pace than my enemies. 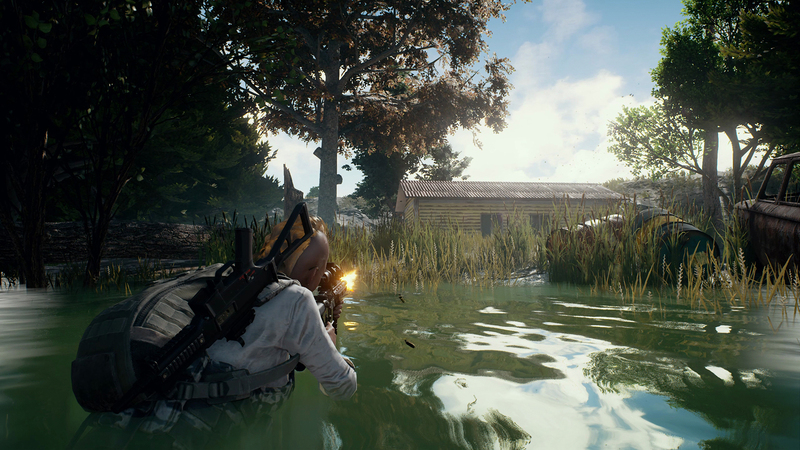 Outside of the game’s more randomized elements, as a shooter PUBG‘s combat feels breakneck and challenging. Coming from the lineage of military sims like Arma, death in PlayerUnknown’s Battlegrounds comes quickly as it only takes a few shots to take down most players (or potentially only one with a well-aimed headshot). 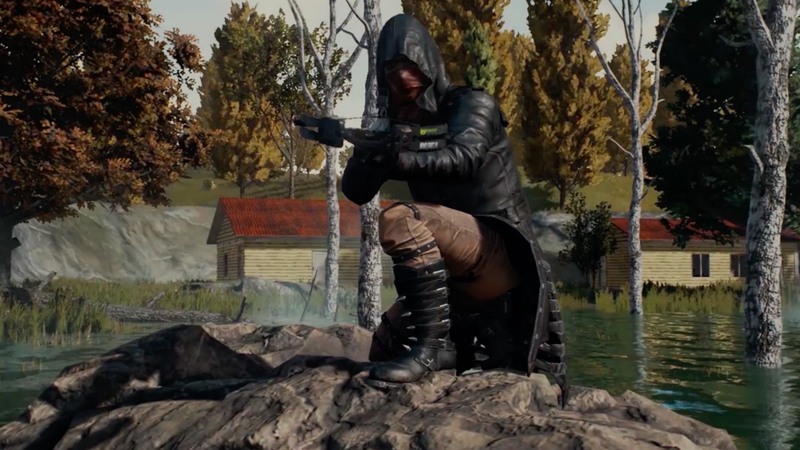 This quick time-to-kill though comes down on both sides, as PUBG employs several elements to keep the combat and gunplay as unpredictable as the environments. That aspect of the combat comes through bullet drop and the varied amount of weapon attachments and upgrades that can be tailored to specific players’ preferences, whether they opt for being more efficient at long range or close range, and more. While generally speaking most players that find better weapons, armor, and supplies will find themselves in a more advantageous position as the game goes on, what I really enjoy most about PlayerUnknown’s Battlegrounds is the fact that being bigger or better is only part of the equation. 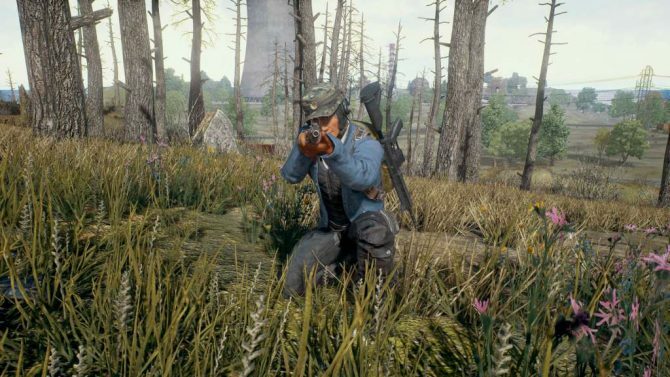 As much as better guns will be vital to surviving, having the right combination of wits and strategy is also a crucial part of the PUBG equation, as diving right into combat is not necessarily always the solution for every engagement. Earning a chicken dinner victory in PUBG can come just as effectively from players that are aggressive and go after other players the moment they see them as they can from players that are deliberate and careful. A big part of that comes from using the environment to your advantage — snipers that find manage to find a great hill or mountain can easily use that to their advantage to pick off players from a distance without ever knowing where they are. Likewise, setting up an ambush in a crowded city can also work to your advantage by keeping players guessing as to your location. Heck, avoiding combat altogether can sometimes be the best solution, as you sneak by while a passing enemy gets into a confrontation with another player. Given the huge scope of PUBG‘s maps and the varied terrain inside of them, there is plenty of room for player experimentation and strategy. As I’ve played with numerous friends over the past few months, I’ve continually found players utilizing very different ways to getting into the last remaining number of players that have been just as effective as the last. This includes some of my friends that have loved hiding in bushes and foliage to catch players by surprise, while some of the more cunning players I know have done nefarious things like blowing the tires off of roadside vehicles, leaving players stranded and unable to escape the oncoming circle and instead heading towards a slow, painful death. These strategies will no doubt continue to develop as time goes on and new maps are introduced. 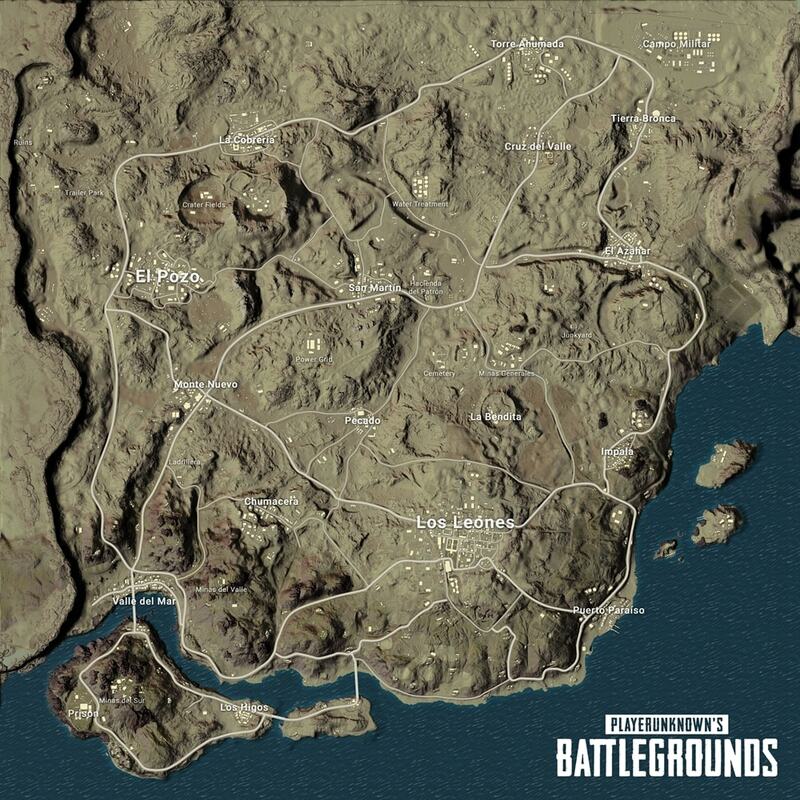 Currently, PUBG has only two maps: the Eastern European-styled Erangel map (which is the game’s original map) and the newly-released Miramar map that pits players inside of a mountainous desert valley. While by comparison to most other shooters this might be paltry, the size and depth of what the maps offer provides thousands of different ways to obtain victory. 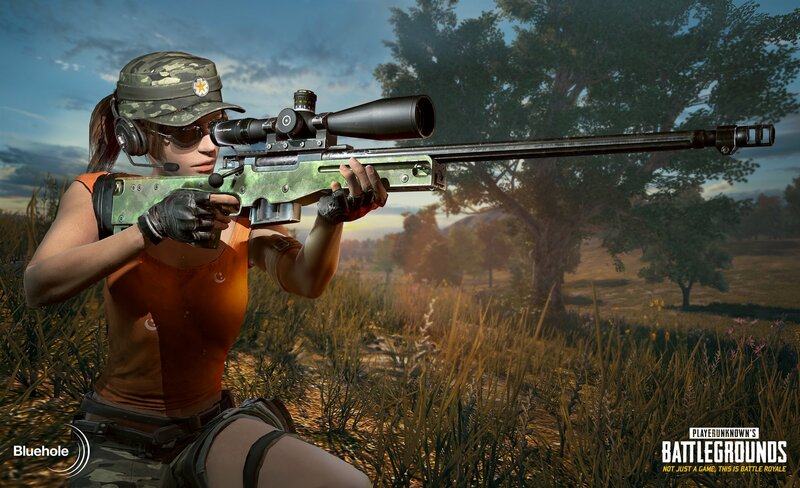 Where Erangel’s wide open fields and mountains tend to favor medium to long-range combat (ie, assault rifles and snipers), the valleys and tight corridors of Miramar make close-range combat the more preferred way to dispatch enemies and survive thanks to shotguns and SMGs. Likewise, different variants of the maps, such as the “fog map” or rainy versions of Erangel, also give some unique angles to the experience that players of the standard versions can’t rely on the same strategies for. Specifically, in the case of the fog map version of Erangel, the limited field-of-view renders long-range weaponry far less useful, while the rainy variant makes depending on sound a more difficult task thanks to the loud thunder in the distance… or in the hands of the right player, makes masking gunshot sounds that can alert other players way easier. On the technical side of things, PUBG is a much more hit-and-miss experience, and your mileage (as far as performance) is going to vary greatly on PC, depending on your build. Personally, PUBG has been a mostly smooth experience with my build that includes an NVIDIA GTX 1070 graphics card (which is just above the game’s recommended spec of a GTX 1060 GPU), 32GB of RAM, and an i5 processor, though the game’s optimization is far from ideal. It’s come a long way now from its Early Access state, but there is definitely more work to be done to make PUBG a completely “stable” experience. Even with many players opting to run the game at lower resolution and specs to ensure the best possible performance (even going as far as to remove in-game foliage and other effects), PUBG‘s bugs and glitches abound with issues like rubber-banding, weird collision detection, not being able to pick up or drop items properly, and the occasional crashes. Likewise, the game’s UI and menus leave room for improvement, with adding and removing players from your party sometimes being a challenge due to its finicky lobby menu. Likewise, the actual design and visuals of PUBG are equally a mixed bag. Character models in particular take on some odd qualities and though players can customize them to their liking, they aren’t exactly stellar looking and the cosmetic options that the game provides (even with loot crates and microtransactions) are limited, at best. The maps are perhaps my favorite aspect of the game’s aesthetic as their vast draw distance and varied terrains are impressive, other than the occasional low-res textures or copy-pasted building and town layouts. PlayerUnknown’s Battlegrounds, for better and worse, is one of the most enjoyable multiplayer game experiences I’ve had in years. I’ve delved into plenty of multiplayer-focused games with friends over the past few years like Rocket League and Overwatch, but few have felt as tapped into the social aspects of gaming as PUBG has managed to provide. With well over 120 hours put into the game over the course of the year, it’s already taken the mantle of the game that I put the most time into in 2017, and that’s an especially impressive accomplishment given the astounding number of excellent games that this year provided us with. On that last point, PUBG is by no means the “best” game from this year. On a technical level, it’s still riddled with bugs and in dire need of fine-tuned optimization on PC (and on Xbox One as well, given the reports of its significant technical performance issues). Likewise, its progression and micro-transactions systems are a step back compared to the more satisfying sense of earning loot and rewards from investing time into it as games like Overwatch provide. Unless you’re a player like me that’s dumped dozen of hours into the game, PUBG‘s lack of clear explanation as to the mechanics and gameplay secrets might have newcomers going through a few painful first few hours trying to get the hang of it all. And as much as the game’s few maps offer tons of strategy and replayability, some players might find themselves bored at going back to the same map over and over, unlike multiplayer games with a greater map variety. But for as many flaws as PUBG has, both subtle and incredibly noticeable, it’s also the game I’ve just wanted to keep coming back to month after month after month. By breaking down the core mechanics of survival games into matches that are both intense and easy to hop back into, PlayerUnknown’s Battlegrounds has provided a multiplayer experience that plays out drastically different each time, and yet is just as exhilarating each time that I play. PUBG clearly has more work to be done after its nine months of Early Access, but I’m more than looking forward to seeing the experience get bigger and better over time. Despite its initial hangups (and the issues that still plague it outside of Early Access), there’s an incredibly strong foundation to PUBG‘s gameplay that’s clearly going to evolve in new and exciting ways. The version of PUBG that I’m reviewing now is very much going to look different a year from now, and honestly, that might just be the most exciting part of where this massively popular game heads next. 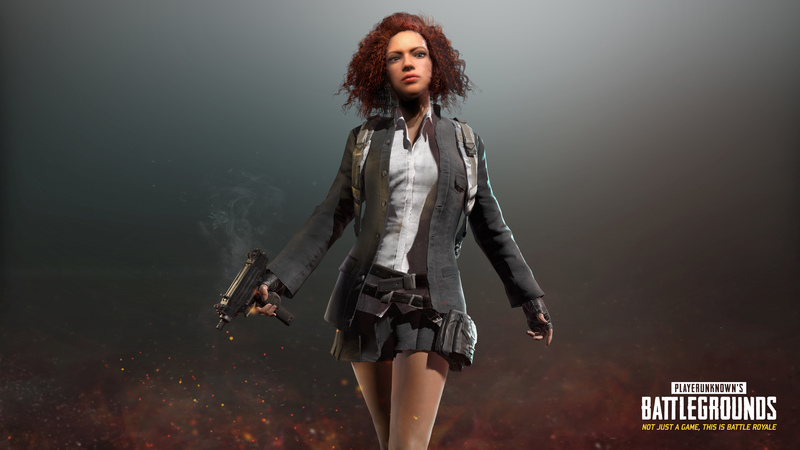 In the same way that Counter-Strike‘s early days led to it dominating the competitive scene and Minecraft‘s years of beta access led to it becoming a game that defined a generation, PlayerUnknown’s Battlegrounds isn’t necessarily the first “battle royale” game out there, but it is the one that’s leading the charge on making players fight to survive, and it’s thrilling in every way.